From Walt Disney’s early hand-drawn, animated cartoon, Steamboat Willie, to the live-action feature The Jungle Book and the interactive experience Coco VR, The Walt Disney Studios has spent nearly 100 years transporting audiences to new and stunning worlds using groundbreaking technology and a little pixie dust. 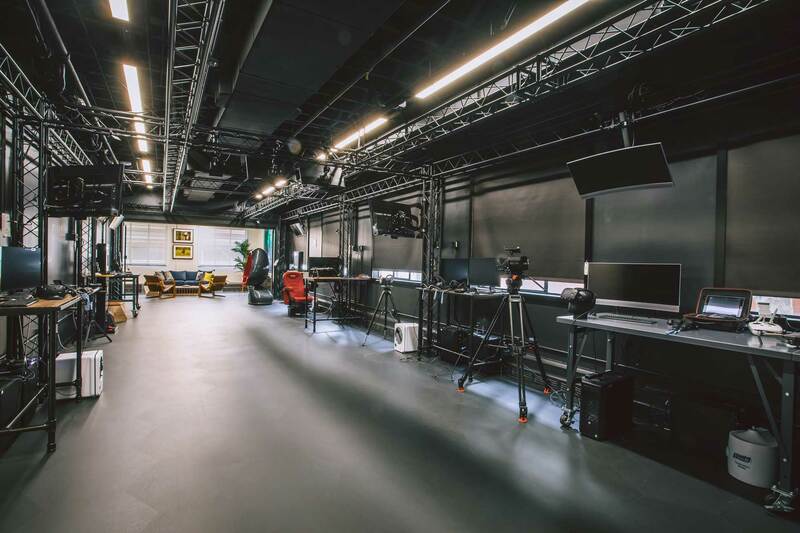 To continue in this legacy of innovative storytelling, we are excited to announce the opening of The Walt Disney Studios StudioLAB—a brand-new tech hub focused on advancing the art of storytelling with cutting-edge tools and methods. “StudioLAB is all about giving our storytellers new superpowers,” says Benjamin Havey, Vice President, Technology Innovation Group, at The Walt Disney Studios. Located inside the famed old Animation building in the heart of the Studio lot, this brand-new, 3,500 square foot facility is both ultra-sleek and reminiscent of the past, with mid-century modern furnishings that call to mind Walt Disney’s original office. This new creative space will enable filmmakers from Disney’s film studios—Disney Live Action, Walt Disney Animation Studios, Pixar Animation Studios, Marvel Studios and Lucasfilm—to more easily collaborate with one another, explore new technologies and experience the latest projects, content, tools and devices from StudioLAB partners, as well as the broader technology industry. StudioLAB will offer exclusive VR, Artificial Intelligence and Mixed Reality experiences. Read more about Disney’s StudioLAB by clicking this link to their site.